A slow cooker, an inexpensive mattress pad, facial moisturizer, and other highly-rated things that have earned many a raving review!! 1. A pair of slouchy faux suede boots that won't make you buckle over at checkout. Btw: These aren't just pretty, they're pretty damn durable!! They have textured rubber soles for all-weather grip and slightly padded footbeds. Stylish, reliable, AND comfortable? Get 👏 on 👏 my 👏 feet. 2. A solid wooden tray for stylishly serving snacks during This Is Us without flipping everything over (unless it is out of outrage at the show). You read that right — this baby is solid wood (and has handy handles). No way this thing is falling apart, unlike flimsier options! 3. A reversible faux fur throw blanket with a microplush back so when you start to get tired of looking at one side after an all-day Netflix binge, you can just flip 'er over. 4. A lash-boosting mascara whose applicator brush has both soft and hard bristles to separate and elongate. Clumps? I don't know her. It ALSO has a special formula to simulate keratin so you grow thicker lashes!! Promising review: "I love this mascara! I have tried them all and this is one that I will stick with for a very long time. I get so many compliments on my lashes!" —heleen f.
5. A patterned tunic with POCKETS that'll instantly update the leggings you've been wearing all week. 6. A down alternative quilted mattress pad, because replacing an entire uncomfortable bed set is a tad pricey, but this will be even better (and CHEAPER). Did I mention it's hypoallergenic, deep-pocket, and up to **22 inches** thick?! So yes, you are sleeping on a cloud. Science. Promising review: "This is truly the best mattress pad I have ever found —the first one that did not shrink when I washed it! It is easy to put on the bed — no tugging or breaking fingernails! The cover fabric is very soft, and the reverse does not pill. I'm very pleased." —Sandra H.
7. An acrylic storage box set so you can subtly show off your impressive MAC collection. Humble brag, accomplished. Plus, it has removable mesh lining at the bottom of each drawer to protect them from scratches and accidental spills (ah, foundation). Promising review: "Everything has a place in this storage box. I love it because it doesn't take up a lot of space but holds a ton of makeup." —Carol C.
8. A pair of cotton leggings to live comfortably the rest of your days, while still looking effortlessly cute. 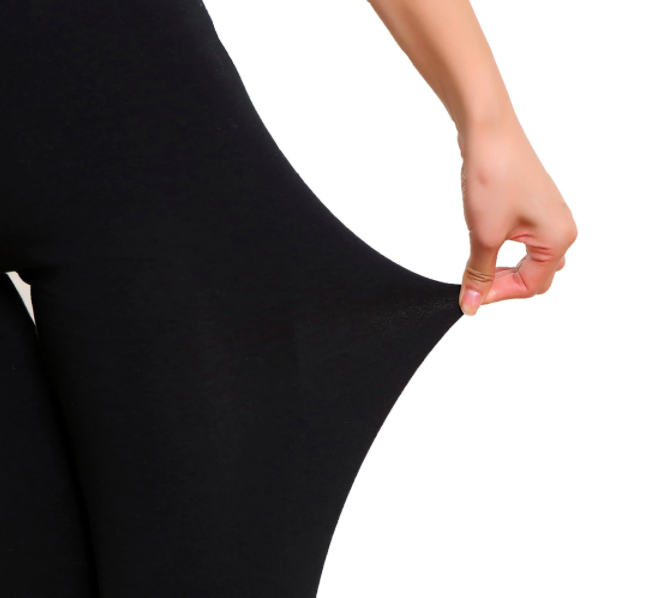 Promising review: "These cotton leggings are very, very nice. They are warm, comfortable, and fit like a nice pair of gloves. Most leggings I don't wear in public but these are a nice grade of fabric that does not look like sleepwear." —Beverly R.
9. A 100% cotton blanket that'll be great for ~hot~ sleepers thanks to its lightweight design and all-season warmth rating (unless you love waking up covered in sweat). 10. A creamy luminizing powder for a shimmery, blogger-level finish, but at a drug store price. It can be used as eyeshadow, highlighter, and shimmer! AND they're cruelty-free. This shade is "Mary-Lou." You can find darker shades here and here! 11. A trio of easy-to-assemble floating shelves so those trinkets you never know what to do with finally have a clutter-free home. They come in a set of three sizes from small to large and can be hung either like the photo above or upside down! 12. A six-pack of fashionable fishnet tights, because you can recycle the same dress for every special occasion when you pair it with different stockings. 13. A lightweight quilted bedding set so sleeping in the lap of luxury has never been more affordable. This (machine-washable) set includes one quilt and two shams (one sham for the twin size)! 14. An intensely hydrating facial moisturizer with natural shea butter, mango butter, and avocado to make dry flakes KNOW you are not to be trifled with. Not only is this a cult-favorite moisturizer (seriously it's like your skin never even knew dryness), but it also reduces fine lines and sun damage! 15. A widely-loved ceramic flat iron that'll de-frizz and straighten just ask much as it protects your precious locks. This impressive one-inch tool is made from ~NASA-grade ionic ceramic~ so you don't tug or pull your hair as you straighten. It features a single fixed heat setting (390 degrees) to protect your hair from any future damage. Plus, its swivel cord makes the iron super flexible so that it can move with you (no more cramped hands!). 16. A K-cup holder with three drawers for easily organizing your morning routine (I mean life before coffee should really be as simple as possible, right?). Promising review: "A great accessory for our K-Cup coffee maker. It looks great as a stand, upon which the coffee maker can be mounted. It holds K-Cups in a convenient, easily accessible manner." —Patricia V.
17. A duo of down-alternative density pillows in ~three~ firmness options so every finicky sleeper gets the beauty rest they deserve. And these queen-sized cotton fluffs are hypoallergenic, so sensitive skin and lungs rejoice! 18. A seven-quart programmable slow cooker to earn Chopped All-Star status while really you just plop things into a pot and watch TV until it's done. This life-saver comes with cooking times of up to 10 hours that you can mix and match with varying temperatures. Plus, its wraparound heating elements make sure the removable stoneware always evenly cooks your meal. AND it's dishwasher-safe, because clean up should be just as easy. Promising review: "This works great and cooks evenly. The timer is the best! When done, it switches to 'warm' and doesn't over-cook. The removable crock makes it easy to clean and it's dishwasher-safe!" —candice l.
19. A 100% combed cotton robe that'll make you actually welcome cold nights. It features a heavy terry weave and is extra-absorbent to keep you toasty and warm. Not to mention it's machine-washable! Promising review: "I purchased this for a long trip and it did not disappoint. The cotton is soft and is excellent for frosty nights as a robe, as well. The color is attractive and I recommend this for those who like a more heavy bathrobe. It is perfect!" —Marilyn H.
20. A cheerful single-drawer side table, because the only thing more exciting than decorating for cheap is if the Property Brothers themselves showed up at your door. Promising review: "Love this table! I ordered the sky blue color and it's beautiful! The table is very sturdy and the drawer is perfect size. I'm using it in our living room and it gives it the perfect pop of color. I even ordered a matching one." —Lori G.
21. A water-resistant fabric shower curtain liner with a mildew-fighting design so both you and your bathroom can be squeaky-clean. It also comes with a set of rust-resistant metal grommets!! 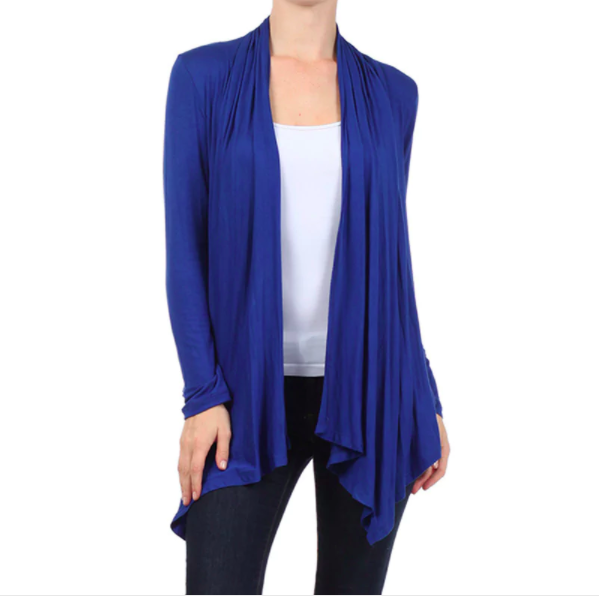 Price: $18.17+ (retail price $59.97; available in six colors). 22. A set of 24 makeup brushes to achieve a flawless face every single time, thanks to actually having the proper applicator for every product. They also come with a pink carrying pouch so they never get dirty during travel!! 23. A set of luxuriously soft bed sheets that'll relax you so much you'll find yourself calling for room service. Ok, it's just Seamless, but still. It comes with one flat sheet, one fitted sheet, and two pillowcases. 24. A 10-piece set of copper and ceramic non-stick cookware, because "I'll just let it soak" doesn't cut it, ok? Nothing will be stuck to these, just throw 'em in the dishwasher. You'll get two frying pans, three sauce pans with lids, and an aluminum steamer insert (and yes, they really are all dishwasher-safe!). Not to mention they can all withstand temps of up to 500 degrees! I'm not a chef, but that is HOT. 25. 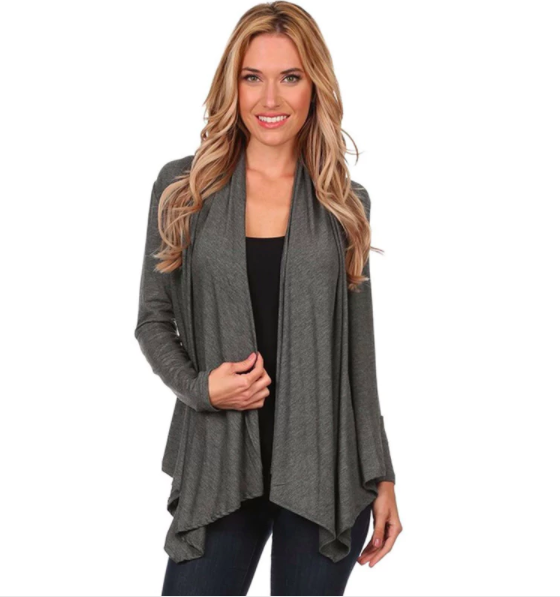 An open-front cardigan so you always have something stylish on hand when the office A.C. plummets without warning. 26. A trio of LED flameless candles to enjoy a night of nice lighting where you can have as much wine as you want and don't have to worry about burning the building down. My bad everyone! Btw, these have four and eight hour timers, a remote control, and are made of *real* wax. Oh, and their subtle vanilla scent definitely doesn't hurt. 27. A convenient corner computer desk that'll leave plenty of room in small spaces and still allow you to focus and work. It has a lower shelf and a drawer perfect for keyboards or any other small office tools. Promising review: "This desk was pretty easy to assemble and was a great deal! The color is a nice black shade that goes with everything. It's sturdy and has enough room for a laptop and a couple of small items on top. Perfect for our tiny space." —Suzanne M.